MCA or Motor Club of America is actually a company that has been around for nearly 100 years. Originally this company was almost a AAA duplicate but with substantially larger benefits that you won’t get from any other motor club. Over the years many people have become referral agents for this company and have made a full-time income from it. But how easy is it to make money with this program? I worked with this program for nearly 6 months and I can tell you from my experience getting your referrals and making money with this program is not as easy as other referral agents make it seem. As a referral agent you will benefit from the variety of benefits this company has to offer these customers. Many MCA referral agents over the world that can help you if you need it. Company can pretty much sell itself. Virtually no support given to referral agents. The person who signed you up and made money off of you will not be there to teach you and help you when you are struggling to make money. High sign up costs which many people are unwilling to pay. No training provided so many new referral agents do not know where to begin. Many people consider this a scam, which makes it harder to sell. Motor Club of America is for anybody who wishes to have car towing benefits and road side assistance as well as for people looking to make an extra income online. I do not recommend this product for people who are new to internet marketing and who do not have a marketing plan in place to promote this product. Without marketing experience new referral agents will surely fail at making real money online. Many people do not even know MCA exists. The way that I found out was on Facebook when I came across a person’s picture showing somebody holding a lot of money. Curious I asked for more information and immediately this person began to sell me on MCA. Since I have experience with working online I immediately recognized when the person change the conversation and began to sell me this product. I made the decision to test it out and what I found was surprising. In terms of training the only training you will receive is from your “sponsor” and if that is if they want to help. Now, my “sponsor” never talked to me after I signed up and made him money. However, there are many other Facebook groups that are dedicated to helping others making money with MCA and you can join these groups. These groups offer a variety of training material in the form of PDF files that can walk you through what you need to do in order to make money, but for people who need to be shown how to do it the PDF files simply won’t cut it. The only real tool you are given to help sell MCA to other people is a script that you can follow. That is it. If you want to create your own website you are going to need to pay out of pocket for it or even if you sign up for a service that can help sell MCA for you, you will need to spend minimum $100 a month just to make one sale. While I have met plenty of people who are making a full-time living selling MCA, they are few and far between. It is not as easy as they make it sound but it is certainly not a scam. 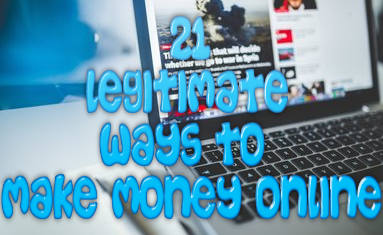 There are many things that you will need to do in order to make money and yes you are going to have to invest in selling tools so that you can make decent amount of money. The most commonly used platform to sell MCA is Facebook and many of the people that make money use this platform and do make some money off of it. However, if you are new to marketing as a whole and especially if you are new to online marketing I would not recommend signing up for MCA. 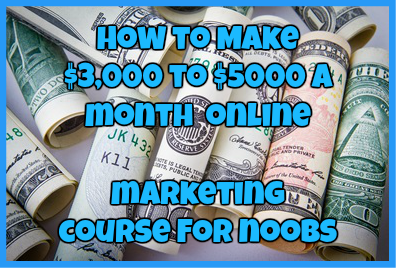 There are better and free alternatives out there that can certainly help make you money and that can teach you the basics of Internet marketing so you can make money as soon as today. Have you signed up for MCA? Have you made money with it? Or do you think it is a scam? Regardless of what you think I would love to hear from you. Simply leave me a comment below and tell me all about your experience. ← Home Website Builder 2.0 Review-Can It Really Make You Money? Killer Content System: Another Scam or Legit Opportunity? You actually need to contact your sponsor or MCA itself. I do not own MCA. I apologize this is happening to you. Hopefully you get your money refunded.